Escape Rooms have been popping up all over the island in recent years, and I finally got to experience one with some friends. 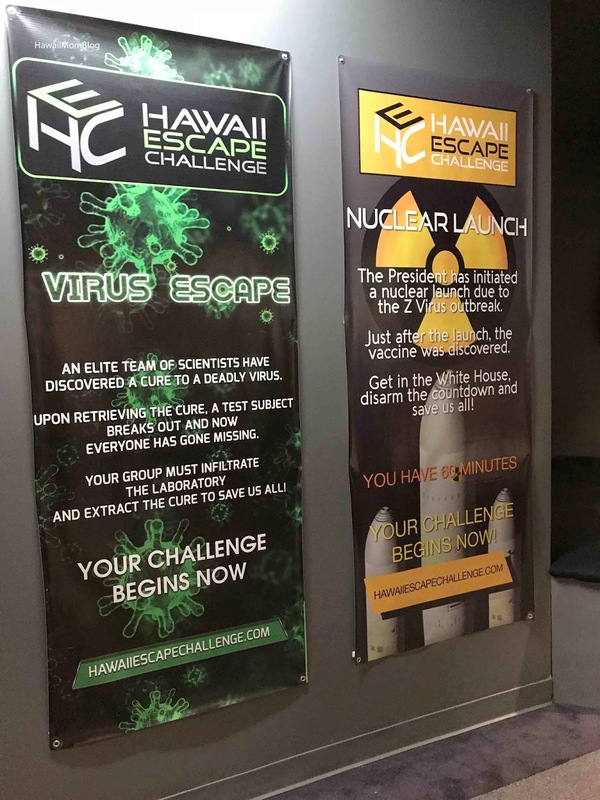 We went to Hawaii Escape Challenge at Pearlridge. 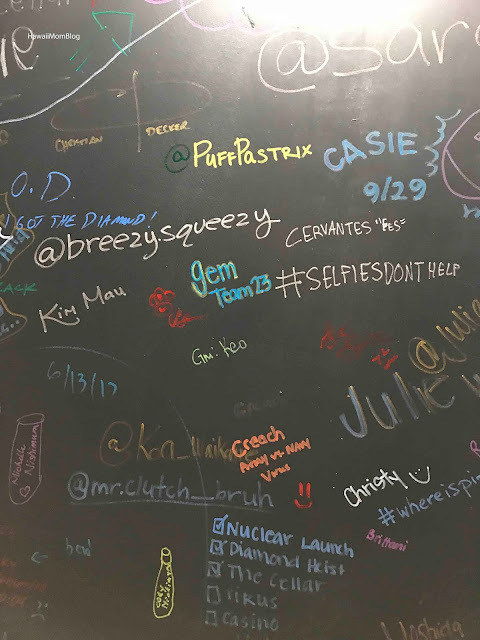 There are four different challenges, and we did the Nuclear Launch Challenge. After filling out a waiver (you can complete it there or prior to arriving via an online form), you are shown a quick video of the things you can and can't do (e.g. no use of phones, no eating, no drinking, no running, etc.). There is a shelf in the room where you can leave your belongings. A representative explains the scenario you're in and demonstrates the different types of locks you need to open. 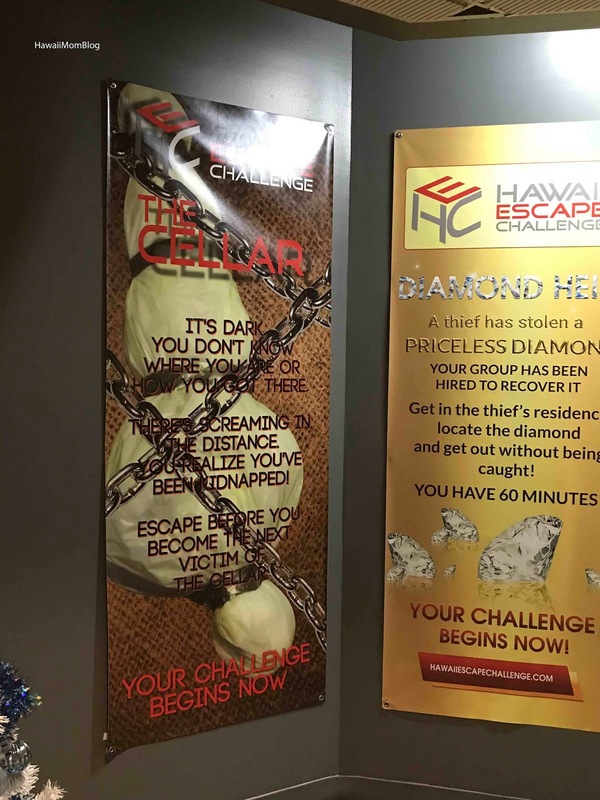 Once in the room, you simply start searching for items to unlock the locks, find keys, solve riddles, and escape! You have 60 minutes to escape from the room, and you are allowed 3 clues. The entire time you are being monitored to not only ensure safety and that you don't do something you're not supposed to (e.g. unscrew objects), but also to provide the clues if your team requests it (we were told to throw a shaka after our group decided to get a clue). There were seven of us, and let's just say, we BARELY escaped. With just 23 SECONDS to spare, we made it out of the room. We took a celebratory group pic (with props and all), and signed our names on the Winners Wall. I won't get into more details since I do not want to spoil the mystery of the challenges. 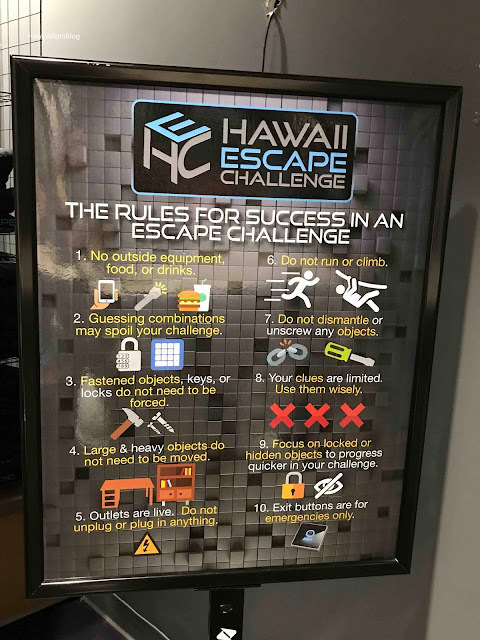 I must say - I was a little nervous going into my first Hawaii Escape Challenge, but it was really, really fun. I already have plans to do another room this weekend!